Those words used to mean nothing to most people, except the few of us that enjoy the pastoral New England countryside and chose to live in Newtown and its surrounding communities. “Newton, Connecticut” is what President Obama mistakenly called our town the first time he uttered the words on television.That was December 14th, 2012. He has not mispronounced it since.The shock of the Shooting at Sandy Hook was felt throughout the country, indeed throughout the world. 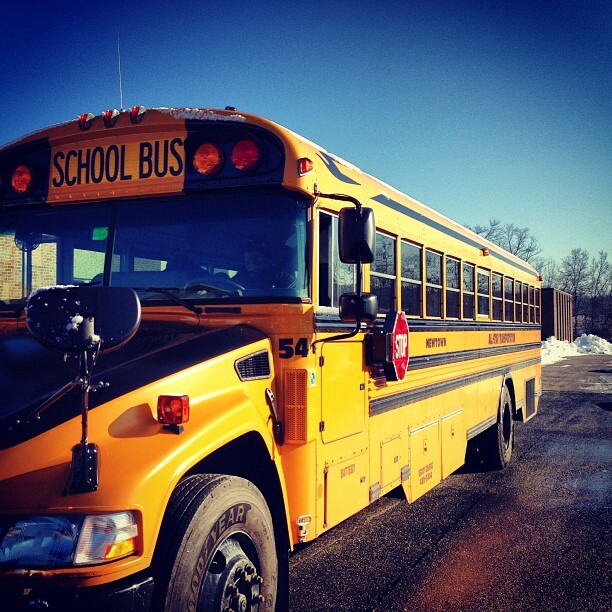 Today I piled into an old-fashioned school bus with fellow Newtowners to March For Change at the capital. In the time since the shooting things have quieted down and we, as a community, have started to act out the routine of our lives. In the beginning, the horror story consumed us. We worked hard to make sense out of a senseless act that cost so many people so much. Each day it felt like we would never recover. We all just wanted to do something to help the grieving families that lost loved ones, the children and teachers that survived, the first responders, our fellow Newtowners… The truth is we will never truly recover the old selves we were before 12/14. Today was about moving forward and what we can do to help.Call your elected officials and demand change. One suggestion I heard today was to call every Friday at 9:30. Ask them what they are doing to make sure that legislation to require that all guns must be registered (we have to register our cars) and that handgun owners must pass a handgun safety test in order to be licensed to own one.Don’t vote for someone unless they support the effort to make our cities, states and country safe.Finally, choose love in any given situation. How does this relate to gun control? Without it, we are doomed. It is the opposite of fear and that the person who pulls the trigger is riddled by some form of fear. Maybe it sounds like a bunch of fluff to you but give it a try. 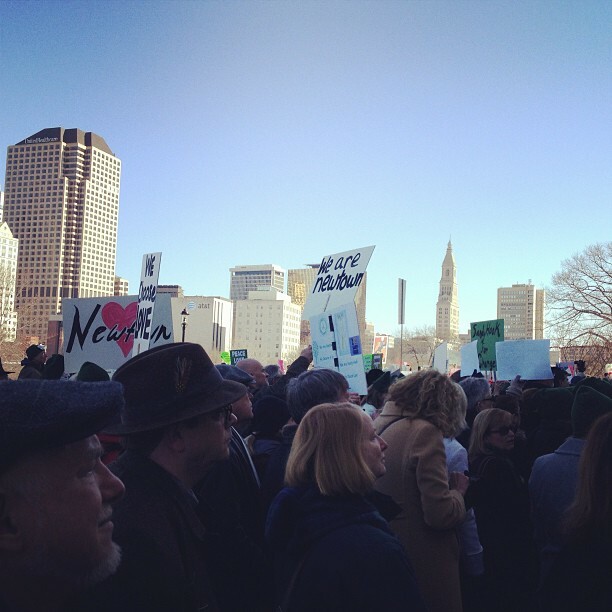 This entry was posted in Gun Violence, Newtown, Politics, Uncategorized and tagged A.M. Cannon, Anne Marie Cannon, Gun Violence, march for change, Newtown, politics, Sandy Hook. Bookmark the permalink. 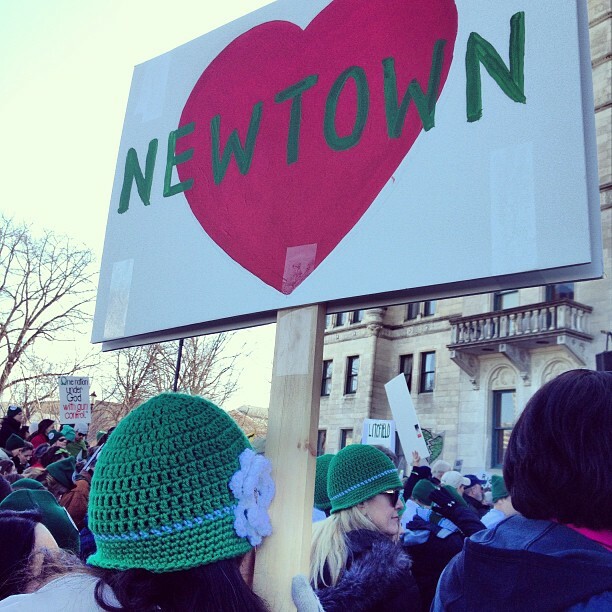 News from Newtown, two months later. Still sending thoughts and prayers. Thanks Paul Mark Sutherland, your reposts have meant a lot to me. That, I believe, is our only solution. Thanks you DaydreamsinWonderland, strength in numbers and we Newtowners are feisty folk! My thoughts and prayers are with you and the good folks in Newtown. Thanks dianasschwenk! Keep writing about love in talktodiana.wordpress.com. In so doing you are part of the answer. Thank you for stopping and liking a recent post. I will likely not forget where I was on December 14, 2012. I was in my classroom with a parent and students when the parent informed me what happened. I am unsure what I would have done under those circumstances and was overwhelmed with profound grief. Later, I wrote a poem called, What Can I Do? You are right when you say people in Newtown will never truly recover their old selves. Those who do not live there will not be same either. I look forward to following your blog. Take care and hopefully we can each make changes by doing and being something that brings sense, peace, and love to our world. I look forward to following your blog as well. I will never forget where I was on 12/14/12 either. I was registering for my last semester of graduate school. I overheard the two women behind the registrar’s counter say the words “Newtown” and “Shooting.” I went strait to the local coffee shop I work at, just a mile from Sandy Hook Elementary. To bring “sense, peace and love to our world” as you say, these are all worthwhile ventures. Thanks for your thoughtful comment. The shooting in Newtown has become a mark in time. What I mean is people refer to “before” or “after” certain events like Hurricane Andrew, 911, etc. I now hear people mark time with “Newtown” also. I have not seen so many people so moved in a long time. Thank you for your contributions in moving us forward. Love & Light.